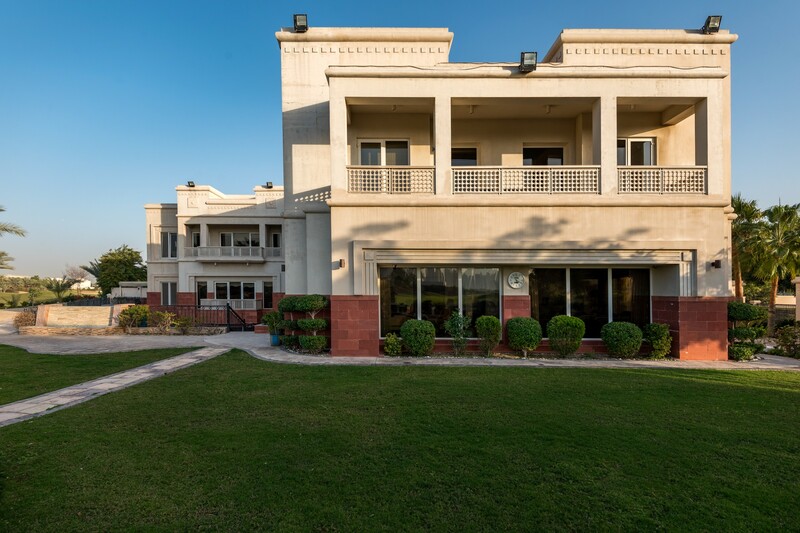 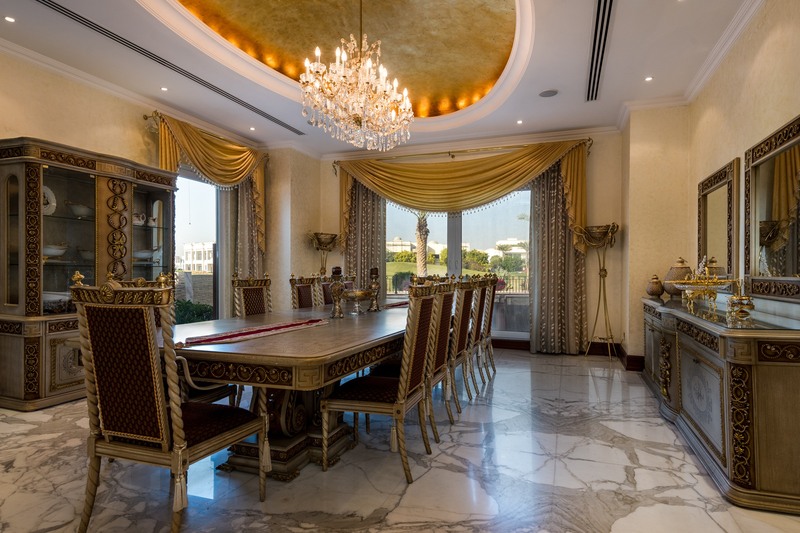 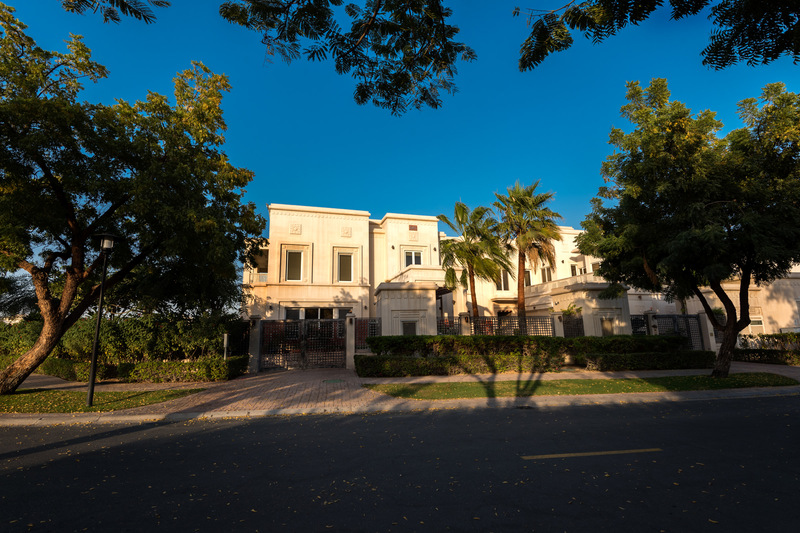 Gulf Sotheby’s International realty is pleased to offer you this 6-bedroom independent villa in Emirates Hills is positioned in a Cul de Sac of Emirates Hills in the most prestigious Sector and stands on a plot of 24,000 Sq. 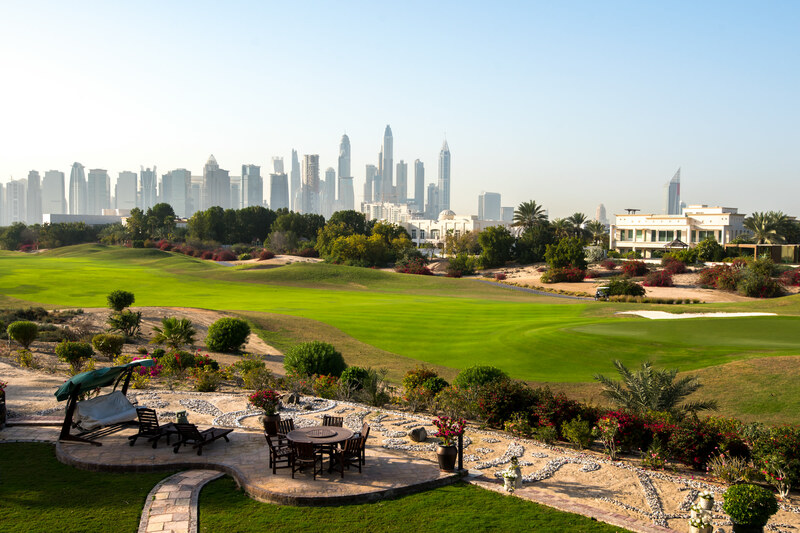 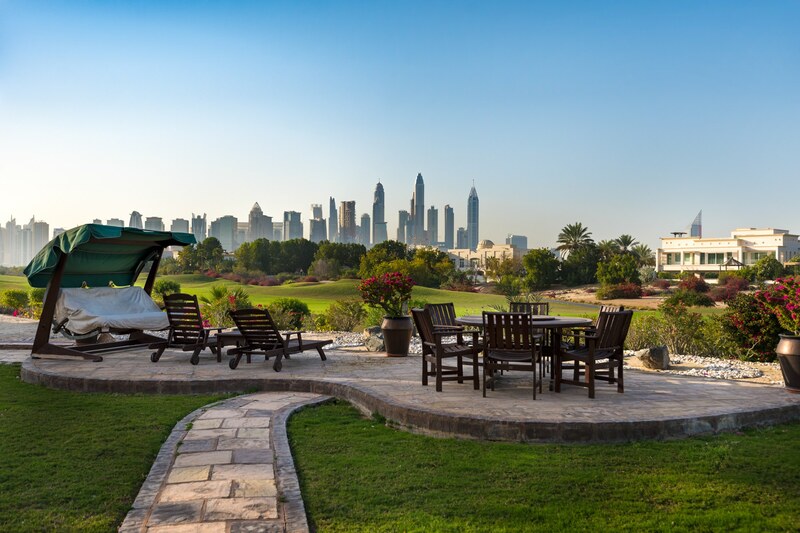 Ft., with stunning views over Golf Course Montgomerie Hole 10 and Dubai Skylines. 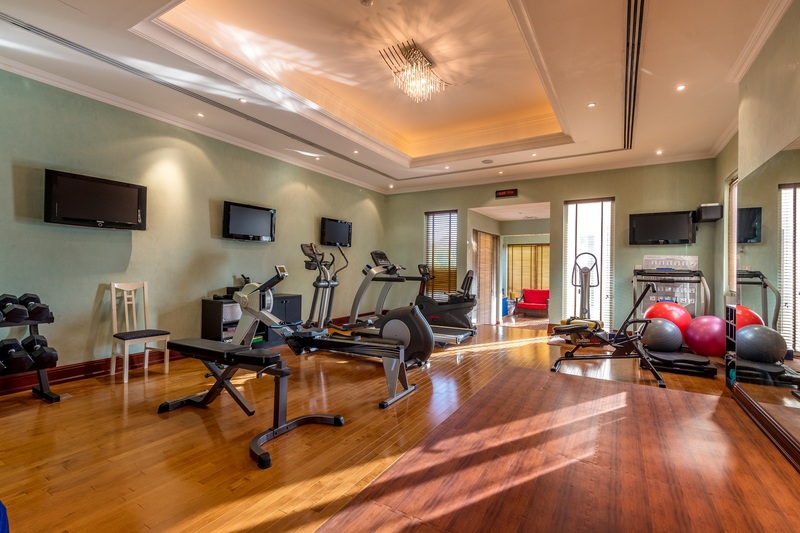 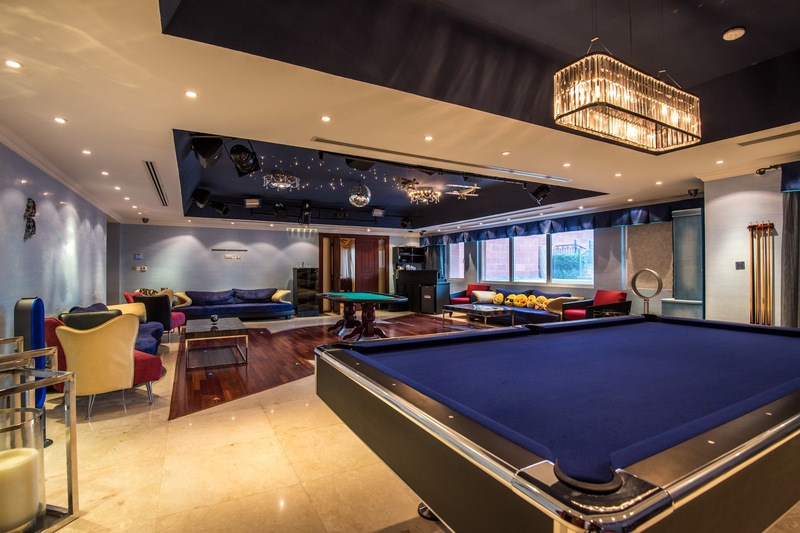 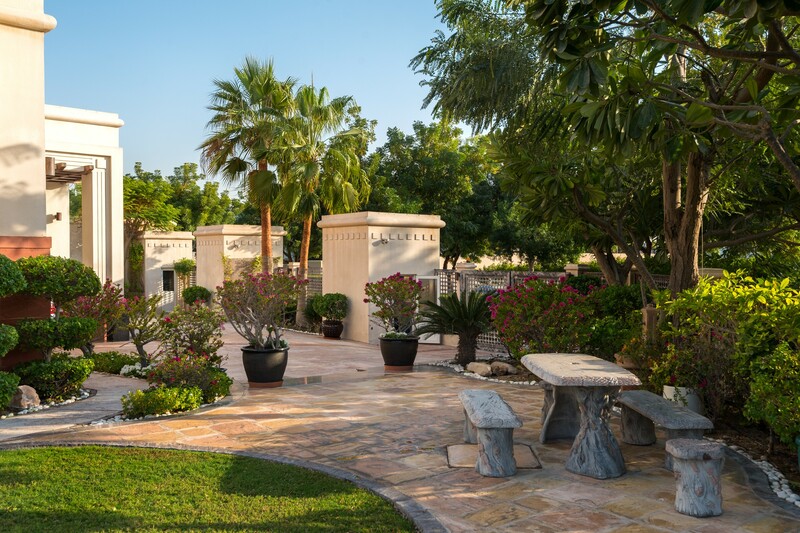 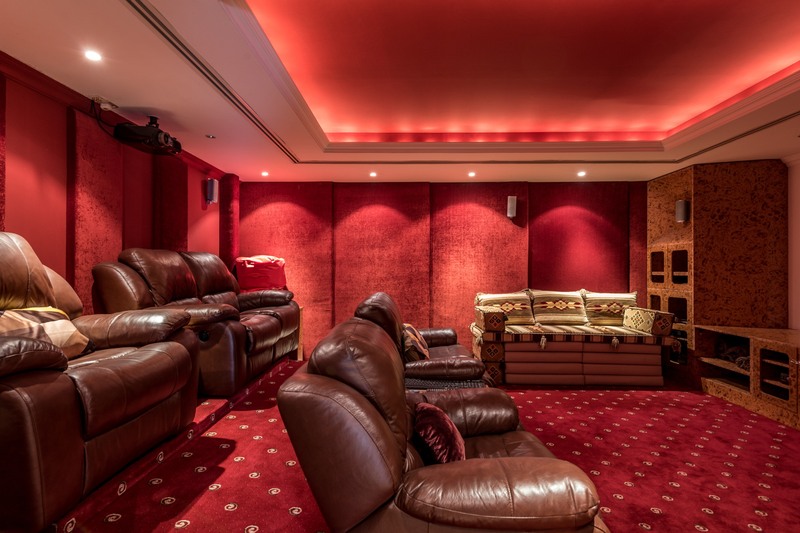 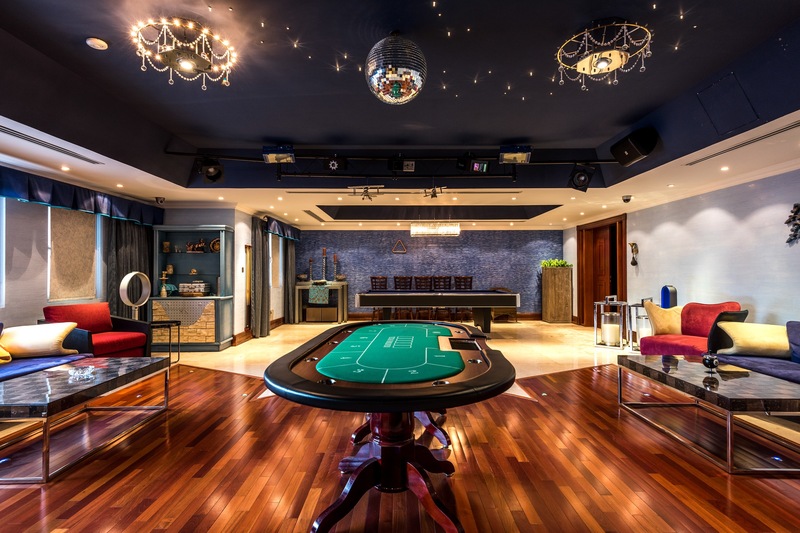 This Emirates Hills villa features beautifully landscaped gardens, a sunken entertainment area with temperature-controlled swimming pool and private pool deck area, home cinema, and game room with disco floor, gym with steam and sun/massage room, OTIS elevator. 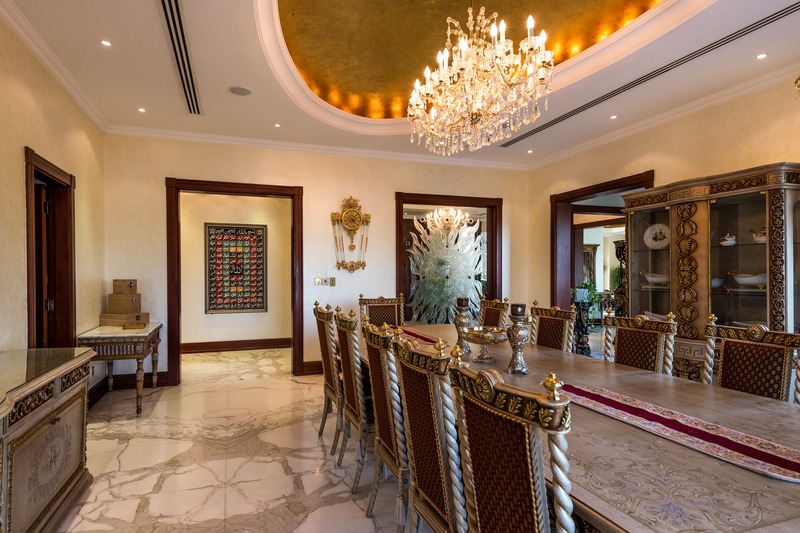 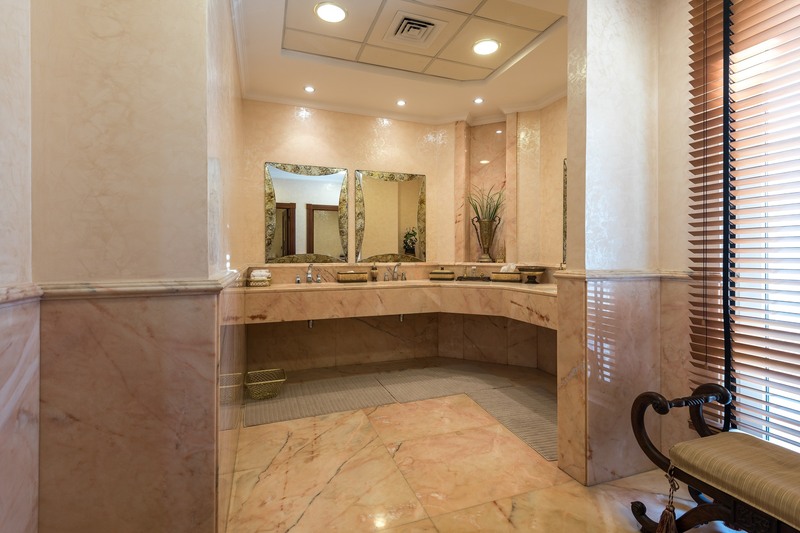 The property has been created with the finest materials, stunning floors handcrafted with imported from Europe marble and hardwood from Canada. 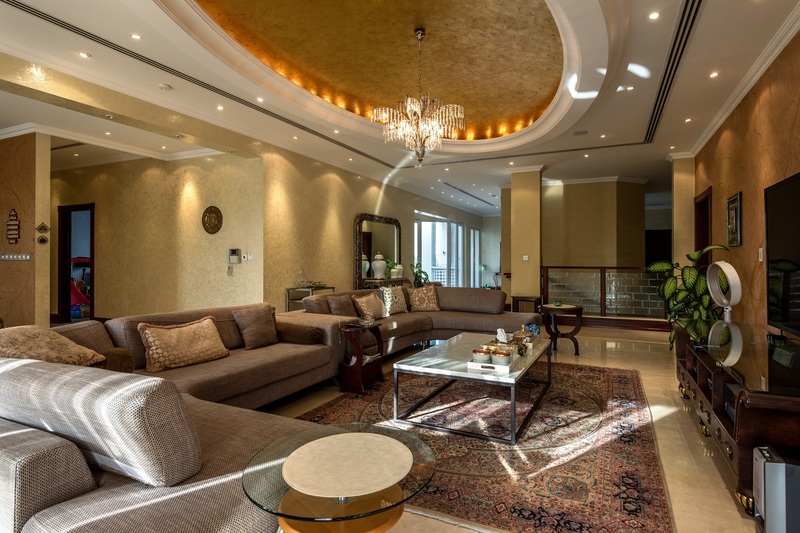 It has a luxury feel and open plan family living areas. 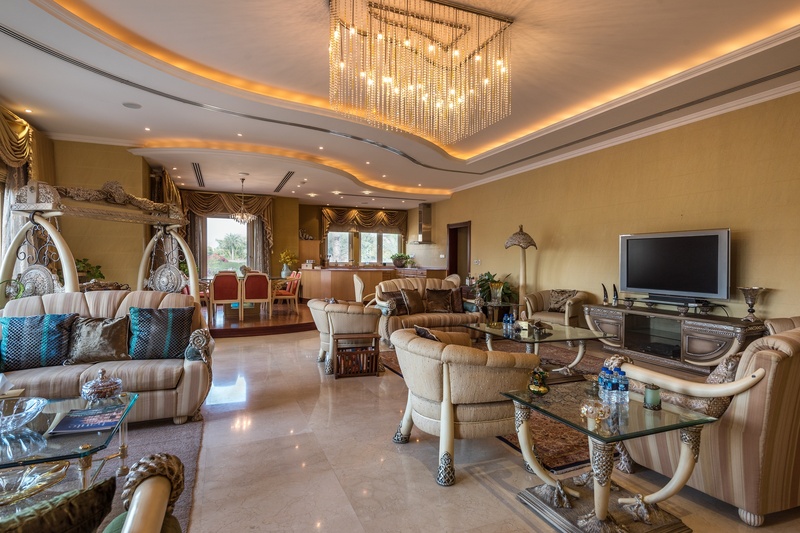 All of the six bedrooms offer large lounge/dressing areas with terrace. 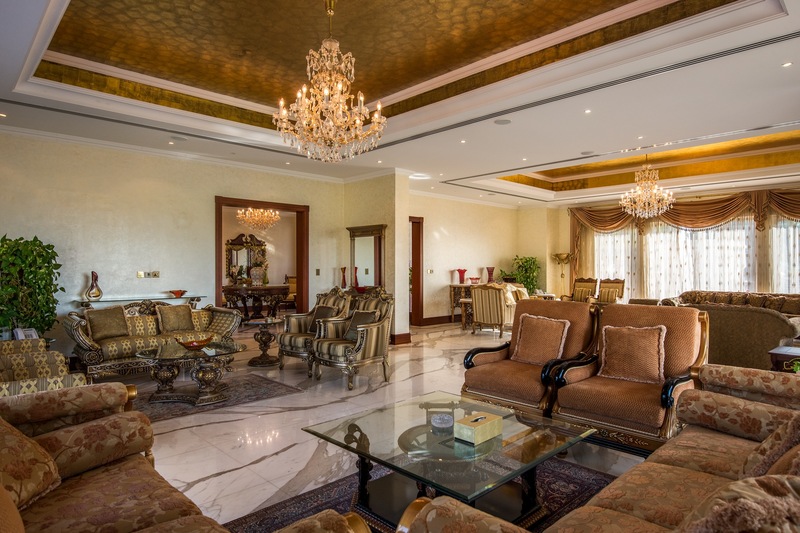 Emirates Hills is a prestigious gated community.